Having a water leak on your property can be annoying and cause a lot of damage. 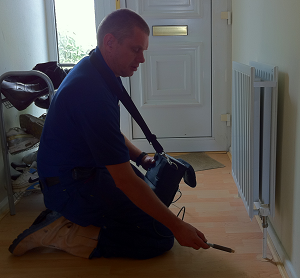 Having a gas leak however can be far, far more serious and is something you need to have taken care of straight away. Gas leaks aren’t something to be trifled with or handled by inexperienced gas engineers – they’re far too dangerous. That’s why you need to hire a leak specialist company who use cutting edge leak detection equipment and ADI Leak Detection is a perfect example of a company you can trust. 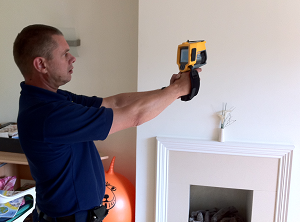 Gas leaks are notoriously difficult to track down but with our level of expertise and our ever growing arsenal of state-of-the-art leak detection equipment we can find even the tiniest of leaks in the most complex of cases. Part of our leak detection toolkit is our nitrogen hydrogen leak tracing gas equipment. What we do is basically drain your existing gas system and flush it with the inert nitrogen hydrogen mixture. Then gas sensors that are part of this system can then detect precisely where the gas leak is in your residential or commercial property. 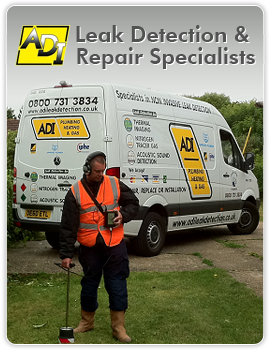 This level of leak detection technology means that our processes are as non invasive as humanly possible and helps you preserve the value of your property because of the “keyhole” leak detection and repair work that ADI perform. Our equipment also means that our teams work in the most efficient manner possible and this means a distinct time saving for you or your business. How Much Does ADI Charge For A Call Out?